How banner advertising works on Jasmine Directory? What size should my banner have? We accept 125x125 banners. In exceptional cases, we can accept a 300x250 banner, too, but its price will be double compared to a 125x125 banner. Where will be my banners displayed? We do not offer site-wide banner placement. Instead, we offer category based banners. For example, if you have a shopping related website, it's best to have your ad displayed on the Shopping and E-commerce category. The banner will be placed after the first or second paragraph, in the left sidebar of a category. How many banners will you place/category? 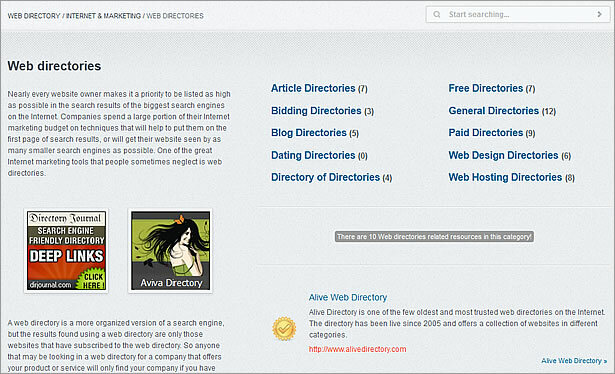 In order to avoid making our web directory look like a Christmas tree, we've decided to sell only two banners/category. All payment will be processed by PayPal on a subscription plan basis. You can cancel your subscription plan at any time. How do I order a banner spot? Just click on one of the "Click here to subscribe" link, you'll be forwarded to PayPal. As soon as you complete the payment, send us using our contact us form: your banner (either in JPEG, GIF or PNG format) and your website's URL. You can e-mail us, or go to your PayPal's pre-approved payments section and cancel the subscription. Simple as that! Right now, we have 14 main categories. We will sell maximum TWO 125px x 125px banners/each category, as shown in the image above. The banners will be added after a succesfull payment. We have a lot of subcategories. We will sell maximum TWO 125px x 125px banners/each subcategory, as shown in the image above. The banners will be added after a successful payment. If you want a banner to be placed on multiple main or sub-categories, contact us. Established in 2009, Jasmine Directory, is a project developed using one of the best and SEO friendly directory scripts available: the Tolra Directory Script. Nothing too fancy or over advertised but an awesome piece of code. 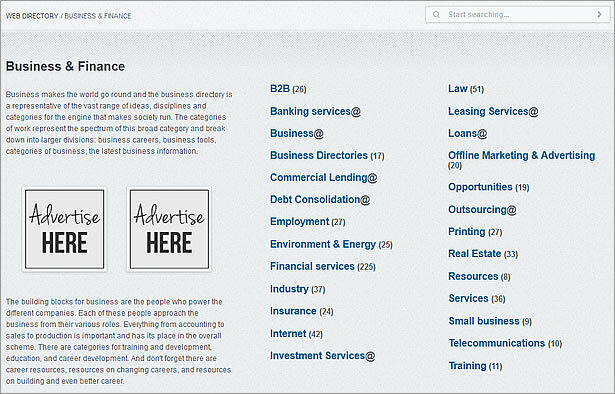 We have added many websites we love to Jasmine Directory. As the business developed, we had to charge a review fee, to keep the hamster in shape. We still add, manually, websites that we consider worth being listed. Subscribe to receive discount codes!